(B4C + W)-reinforced aluminum matrix composite is a new kind of material with excellent mechanical performances and radiation shielding properties. 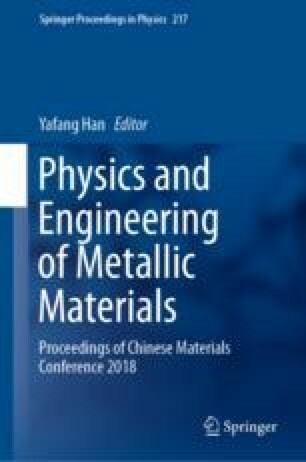 For the lack of aluminum matrix composite shielding materials, which can absorb neutrons with high energy, high volume fraction of B4C and W were investigated by vacuum hot pressing at 600 °C. Scanning electron microscope (SEM), energy dispersive spectroscopy (EDS), and X-ray diffraction (XRD) were conducted to analyze the microstructure and composition of (B4C + W)-reinforced aluminum matrix composites, and the hardness of the composites was obtained by the Vickers hardness tester. The results have shown that a new phase of WAl12 is only founded in the (B4C + W)/2024Al composites. The density and hardness of the (B4C + W)/2024Al composites are higher than that of (B4C + W)/Al composites. Under the circumstance that the matrix is same, the density of samples intends to decrease with the increasing volume of B4C when the volume fraction of W is constant; the density of the samples increases slightly with the decreasing content of W when the volume fraction of B4C is constant.